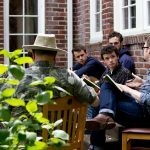 I read this article and wanted to share it with you: Extend the Sonlight Experience at a Christian Liberal Arts College https://blog.sonlight.com/gutenberg-college-grant.html. I remember researching colleges when I was in high school. I had relatively few criteria for choosing the university I would attend. My intended major was fairly easy to find, and finances were such that I knew grants, scholarships, and student loans were my only ticket to higher education. I stepped onto multiple campuses, toured the grounds, and tried to get a feel for the vibe of the school. In the end, I settled on a perfectly fine state college, based almost entirely on the financial burden I’d be taking on. It wasn’t a terrible way to choose a university, but it wasn't a brilliant one, either. When my husband and I sat down with our first high schooler, I realized that although I’d had the benefit of professional school counselors during my own college hunt, I hadn’t asked any questions that ultimately had any bearing on my day-to-day college experience—or the larger lessons of those years that have impacted my life ever since. With that in mind, our family has cast a vision of the post-homeschool years as a time when our children will continue their education, yes. But more so, post-graduation will be a season when they explore their calling, grapple with the bigger questions of faith and society, and enter into a more mature ownership of their relationship with Christ. 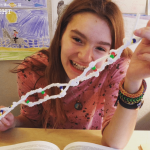 These, we feel, are the important milestones of the college years—and to meet them, a school needs much more than a world-class chemistry lab, an impressive record of publication, or a sports team with a winning record. 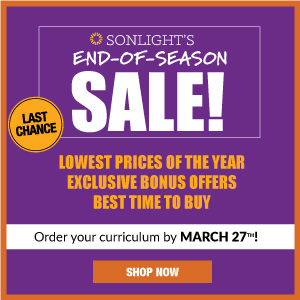 Having invested 12 years in challenging our children to think with the help of Sonlight, to weigh truth by a Biblical standard, and to live out their faith by choosing to homeschool them with books and materials that foster a love of God first and a love of learning second, it makes no sense to abandon that commitment after graduation. Is it difficult to find a college that measures up to that standard? Yes. Yes, it is. I wish I could say that quality schools with a focus on challenging young adults to embrace their walk as a Christian in a fallen world were a dime a dozen, and that you really can’t go wrong in encouraging your child to apply to the local Christian university down the road. Instead, I have to deliver this depressing news: your average Christian college is virtually indistinguishable from most public universities. Sure, they have some required Bible courses. They may even offer Greek. But if what you’re looking for is the opportunity for your child to sit under the instruction of mature, Bible-believing Christians with a dedication to rigorous academic standards and a desire to see their students impact the world with the truth of the Gospel, you’re going to have to look hard. But the search is worthwhile. 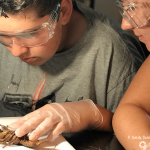 Having already rejected the notion that a secular, socially-conformed education is less than what we want to offer our children in their youth, it’s our job as homeschooling parents to encourage our children to continue to think outside of the box when it comes to post-secondary education. 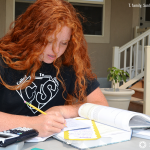 We’ve already proven the naysayers wrong; homeschool graduates successfully get into colleges every day. Now let’s do what we can to raise the bar for college education the same way we’ve raised it for the early years. Let’s be selective. Let’s ask the right questions. Let’s look for the schools that continue the work of honing our children's skills as they embark on their God-given calling. Let’s continue the commitment to excellence, for the glory of God. College-bound homeschoolers can take comfort in the fact that there are a handful of strong liberal arts colleges still dedicated to the idea that a true Christian education is more than a mandatory mission trip in your junior year and a weekly chapel services complete with a concert-style worship experience and themed snacks afterward. I could list a few. 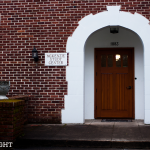 But in this post, I want to focus on Gutenberg College, a small, Christian, Great Books school in Eugene, Oregon, because, in general, they share Sonlight’s desire to help students function in the world with understanding and compassion . . . and they offered a special opportunity we thought you should know about. While I admit that I’m fairly skeptical about the true value of most so-called “Christian colleges,” I’m personally excited by the prospect that more schools will follow the L’Abri model. 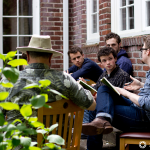 Founded by Christian thinker and academic Francis Schaeffer, L’Abri communities encourage holistic integration of faith and discovery through study and relationship. 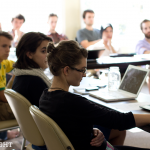 Students from many Christian traditions work through discussion-based courses in cohort groupings. Mentorship is a high priority at Gutenberg. 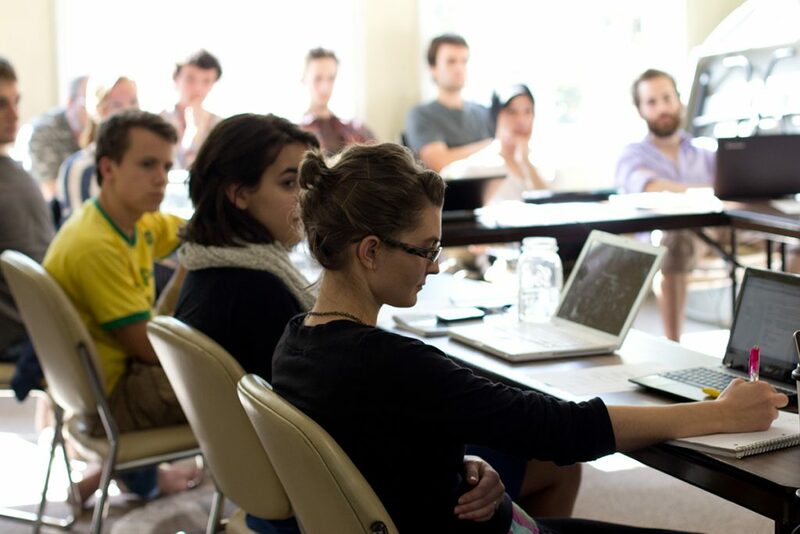 With a 5:1 student ratio, small groups hash out the intent behind the authors of the classics, as well as grapple with worldview, and debate philosophy behind the sciences. All of this will feel familiar to Sonlighters. The bulk of the literature studied is secular, as the goal of the entire program is to understand the world we inhabit and how to interact with the culture as Christ-followers. 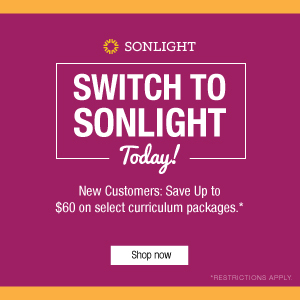 Sonlight is excited to announce a $500-per-year, renewable (for up to four years of undergraduate study) Gutenberg College Grant for Sonlight Curriculum Students. Gutenberg has offered to let Sonlighters who have used at least two Sonlight curricula** to apply for the grant. Gutenberg's goal in offering this grant is to equip Sonlight families to press forward in meaningful higher education, continuing their quest to engage with Biblical truth through the gospels and the Great Books. 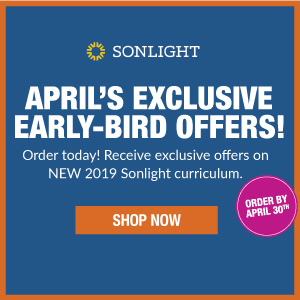 Sonlight also offers a Sonlight Scholarship, and to prevent any misunderstandings, please note these important details. 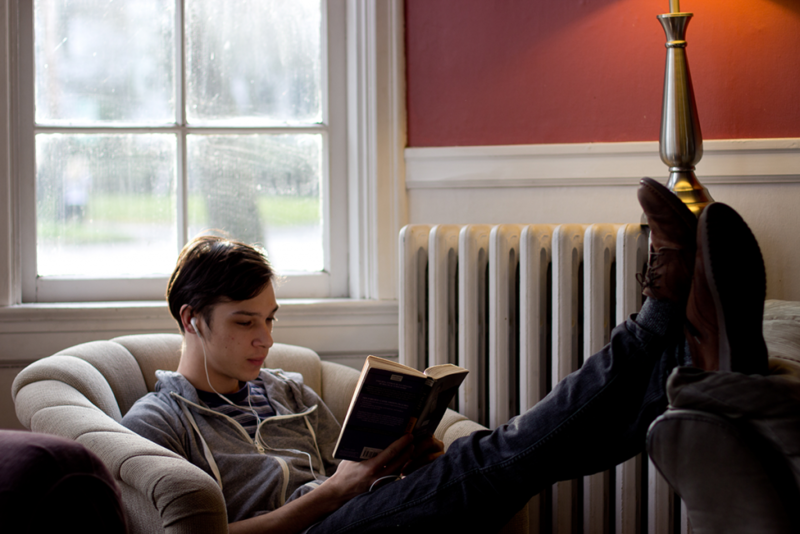 The Gutenberg College Grant is distinct from the Sonlight Curriculum Foundation Scholarship. Students may apply for either or both. 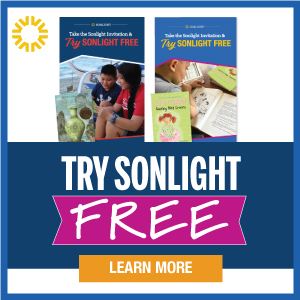 Students who win a Sonlight Scholarship are free to attend any accredited institution of higher learning. 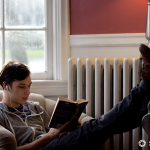 A student could potentially win both a Sonlight Curriculum Scholarship as well as a Gutenberg College Grant. The two programs are completely separate and administered by completely separate entities. 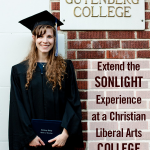 Visit Gutenberg College's website to learn how to apply for the Gutenberg College Grant for Sonlight Students. * Sonlight’s promotion of the Gutenberg Grant for Sonlight students is by way of information only; it is not an endorsement of the school, because our own knowledge of the school is only slight, consisting of a relatively quick review of what Gutenberg makes publicly available on its website. What we have found looks promising for a certain segment of the Sonlight audience. We urge prospective students and their parents to engage in their own due diligence on the school, perhaps starting with Gutenberg’s Mission Statement, Objective and Philosophy of Education, and Biblical Foundation Statement. ** At least two History / Bible /Literature [formerly, “Core”] packages and/or packages that include History / Bible / Literature or Core packages (i.e., for example, what we now call the Sonlight All-Subjects Packages). Please contact Gutenberg College for full eligibility details and application.